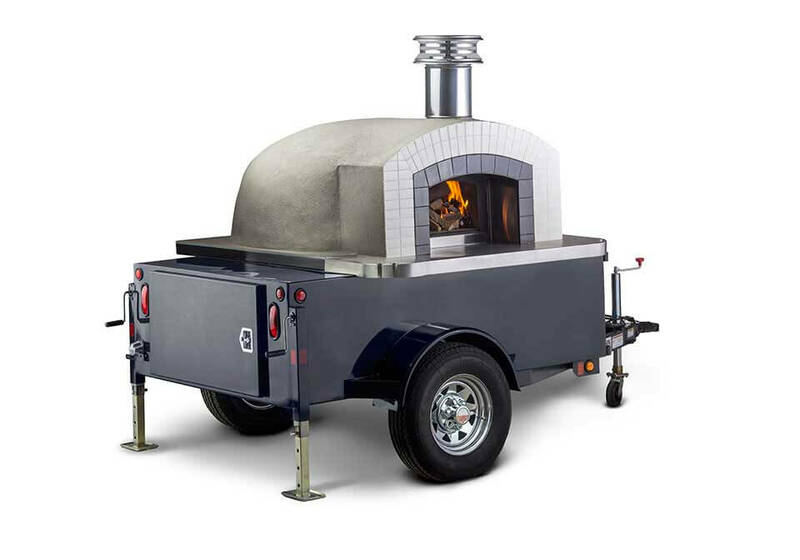 Introducing the Fire Within 18’ Cucina Wood-Fired Pizza Oven Trailer. 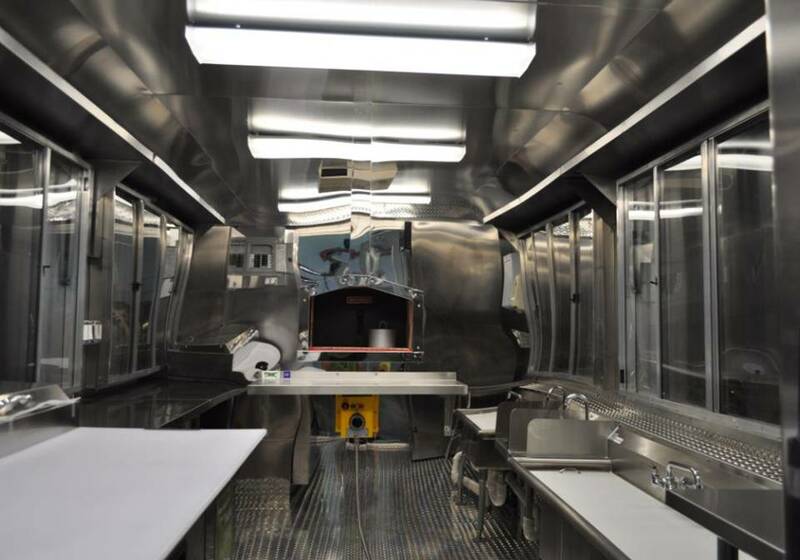 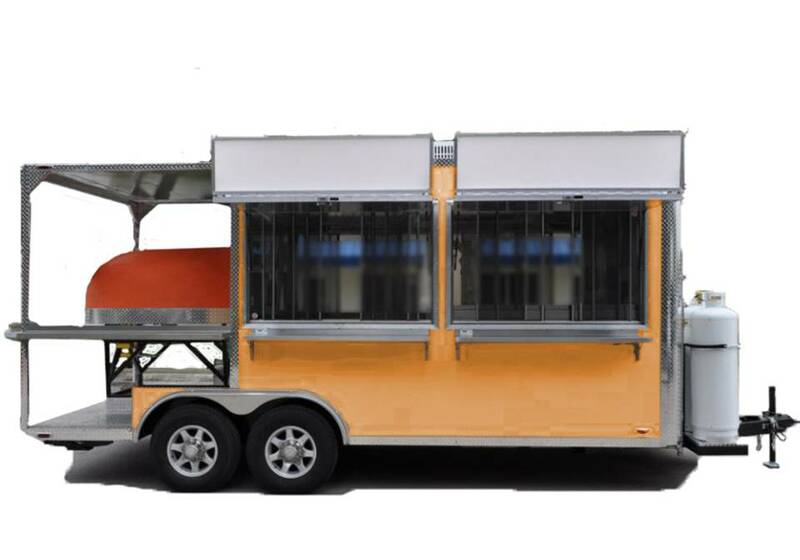 This is a fully-enclosed pizza restaurant on wheels. 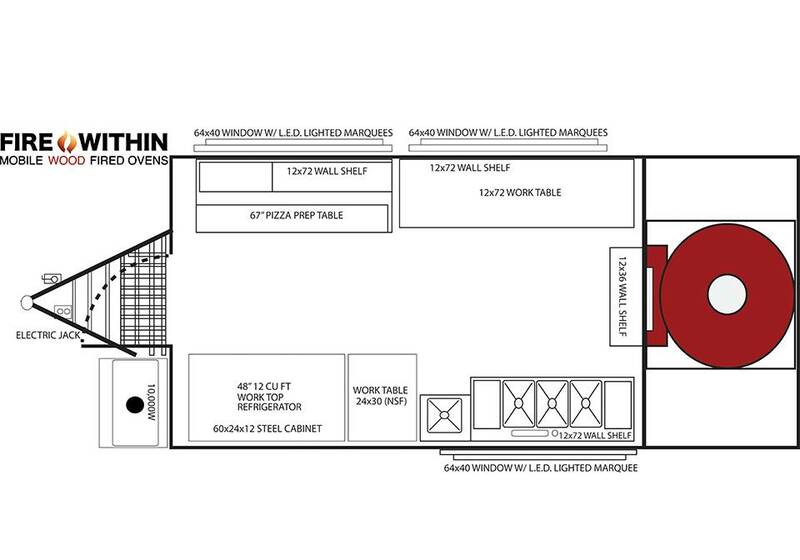 This beautiful unit features a 6-foot porch which houses the oven dome. 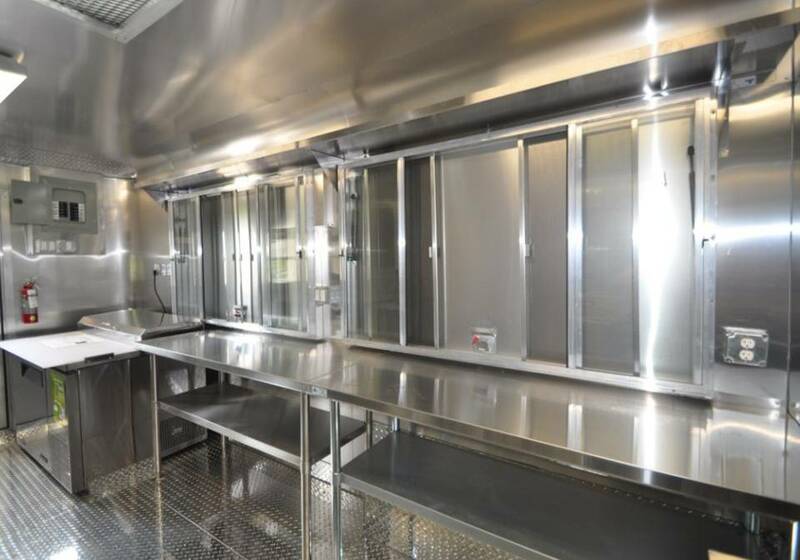 You’ll feed that oven with pizzas from the 12 feet of workspace inside the trailer. 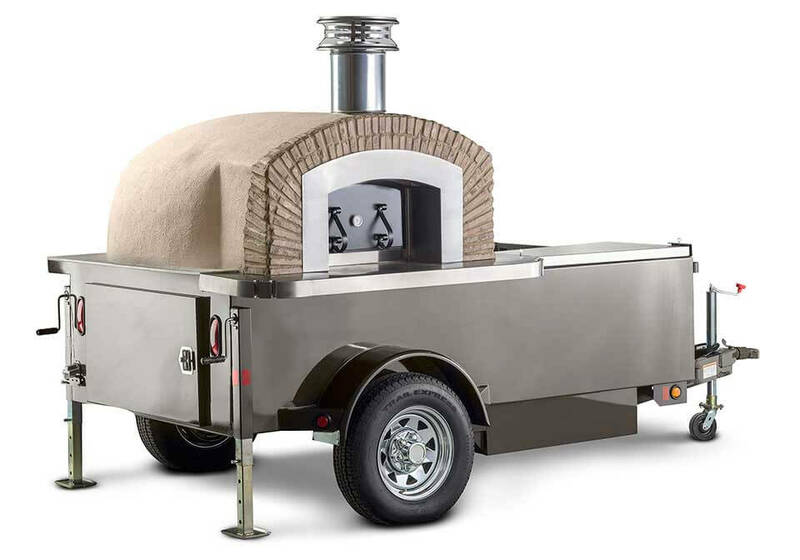 The 18’ Cucina comes in two different models to meet your needs. 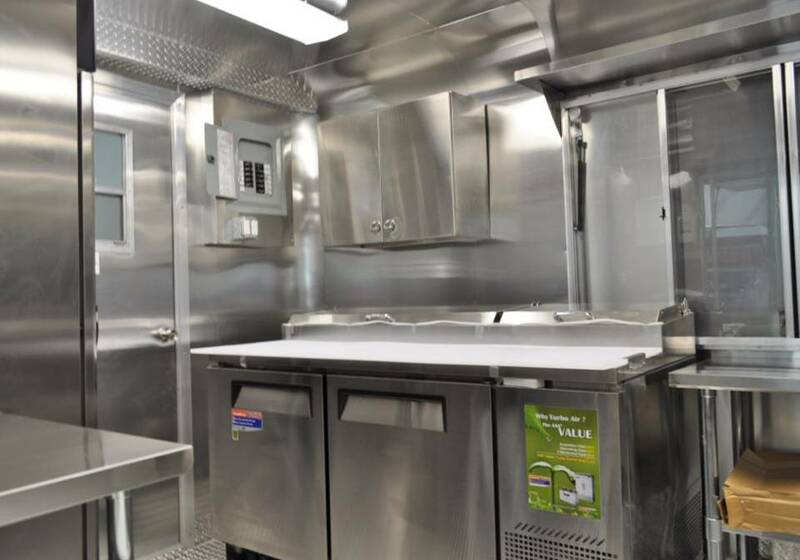 This is one of the best value packages in the category of the Cucina models: A 3-basin disinfection sink (40-gallon fresh water and 50-gallon grey water tanks), a separate hand washing sink, a 67-inch refrigerated prep table, work table space and shelving throughout the interior, a 10,000 watt generator, and a 125 AMP electrical package that powers 8 electrical outlets (2 GFI) and two 4-foot fluorescent ceiling lights. 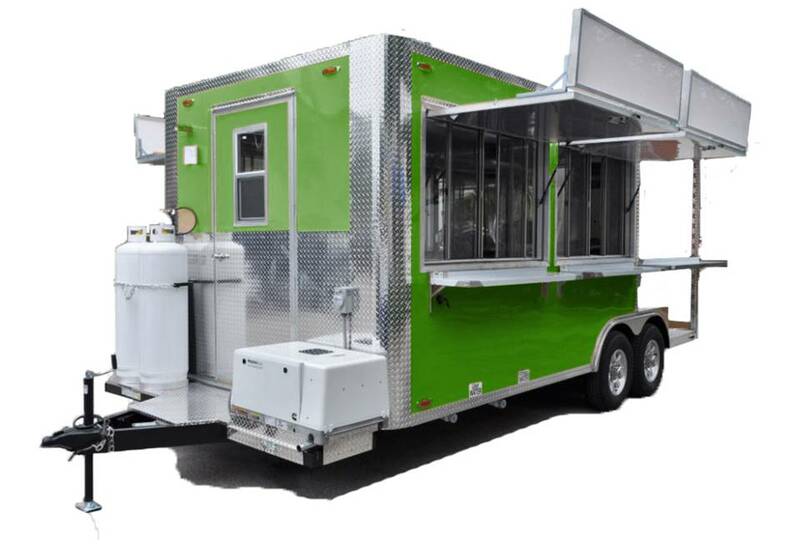 Outlining your Cucina are three or four huge screened windows (model dependent) – your pizza trailer will be stunning, open and inviting. 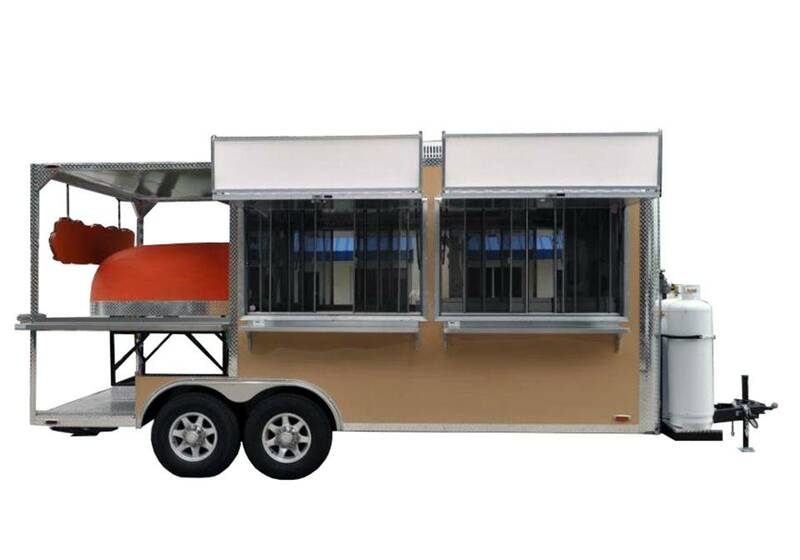 The included LWD-lighted marquees above the awnings are just waiting for your brand to be displayed. 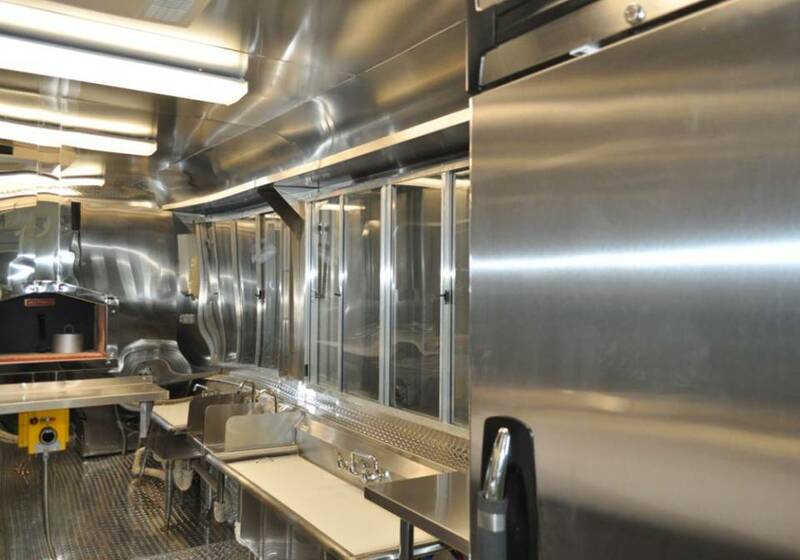 Each window features a 1-foot by 5-foot fold-down stainless steel table inside and out. 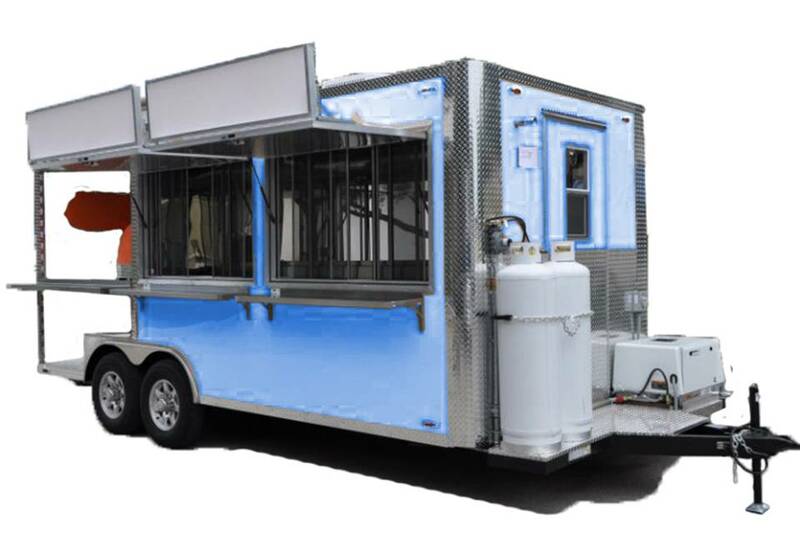 This package is designed to accommodate the most demanding mobile pizza entrepreneur’s needs.